Current available version for download is: v1.2. Software prerequisites: Windows operating systems: 7, 8, 8.1, 10 (x86/x64). You may download the user manual here: User Guide (pdf 2.2MB). We would highly appreciate your feedback by filling out the software evaluation questionnaire, to help us improve future versions. 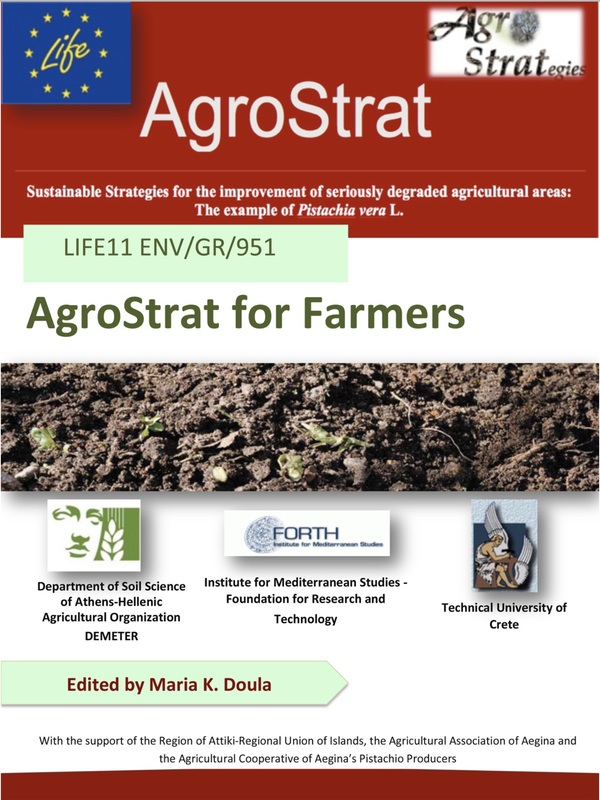 For any support inquiries or feedback you may contact the development team at info[@] agrostrat.gr using "SUPPORT" as subject title. Note: The terms “organic materials”, “wastes” and “agricultural wastes” that are mentioned and evaluated by using the CMS and the CMMT of Agrostrat, mean all the types of materials, high in organic matter, produced by different agricultural and livestock practices and also during plants, crops and nuts processing while they do not include any kind of animal debris or industrial wastes. They are exclusively originated by the agricultural and livestock sectors, as for example pistachio waste, olive mill wastes, manures. The Cultivation Management Software aims to provide consultancy and by no mean to substitute authorized competent authorities. Therefore, it is strongly suggested to consult national competent authorities in case of waste disposal on soil. In the framework of Action A4 the beneficiaries developed a software that can be used in the entire Mediterranean region and promotes sustainable agricultural practices for Pistachia vera L. cultivation. The beneficiaries will also provide instructions on how this unique tool can be used for other cultivations, as well. By inserting results of the chemical analysis, the software provides a fast evaluation of the quality of soil, irrigation water, composts or organic materials/wastes. The end-user indicates the exact position of his/her cultivated field by inserting field coordinates or by finding the field on Google Earth. In case of Aegina island, the software considers the results of the chemical analysis of soil, water, composts provided by the user and in case of missing soil properties, data from the thematic maps are automatically inserted. Fertilization consultancy and sustainable use of composts and organic waste are provided. 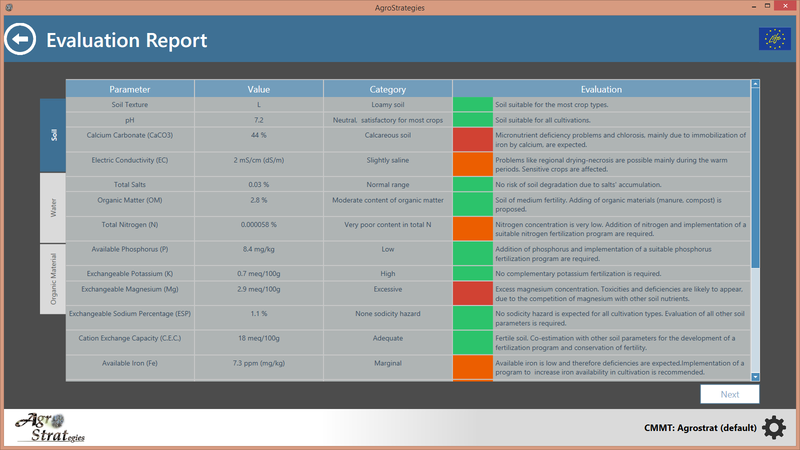 For other areas, the software considers the results of the chemical analysis. This unique software feature connects farmers with the Regional Authority via Internet. The farmers may receive additional consultancy by the scientists of the Authority. It also supports networking between farmers, authorities and citizens. Evaluation: the user should only insert the results of the chemical analysis received from the lab. Soil, water, compost and organic wastes data can be inserted in the software, which then provides a detailed evaluation of the quality of soil, water or of the materials of interest. European legislative restrictions for wastes or orgnanic materials landspreading are taking into account for the evaluation of composts and wastes properties. Consultancy: The user has to identify field location (in case for Aegina Island) and identify the resources and the materials that will be used. Therefore, the user may select to receive only fertilization consultancy by inserting only soil analysis results. If chemical analysis results for irrigation water to be used are available, the user has the potential to insert also water parameters. The software uses all these results and provides the most appropriate fertilization scenario. 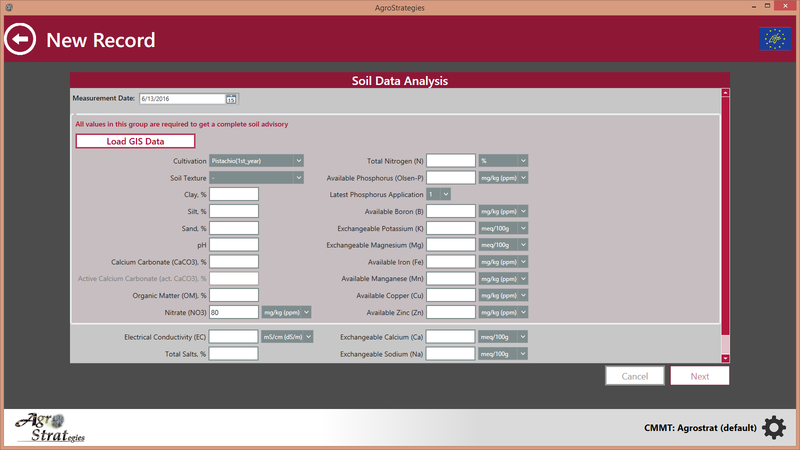 If some of the soil properties are not included in the lab results, then the user may select to use soil data from the Soil Thematic Maps developed during the project. If the farmer wants to use also composts or other organic wastes on soil for fertilization purposes, then the user has to insert also the chemical analysis of these materials together with the above data. As a first stage the software evaluates the safety level of composts/organic amendments considering legislative restrictions and if the materials can be used on soil then a detailed scenario is provided to the user. For other areas, fertilization consultancy can be given, however, considering only the results of the chemical analyses. This, however, does not mean that the tool can't be implemented also at other areas. The beneficiaries will provide all appropriate data and instructions for the development of soil thematic maps and the conformation of the software to other areas properties and characteristics. Connection with the Regional Authority: Although a detailed fertilization consultancy can be received by using the software, the user may be connected with the scientists of the Regional Authority and receive additional information or assistance. This is feasible via internet and due to a specific feature of the software. The farmer can select the fields for which additional assistance or advises are needed and send chemical analyses and the software outputs to the Regional Authority. This application can be also installed at local authorities, ministries or farmers associations. Through this application, the authorities can receive environmental and especially soil data, be able to identify potential problems and design future management strategies. 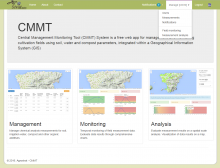 The Central Monitoring & Management Tool (CMMT) is now available. Cultivation Management Software is now available for download. AgroStrat developed a guide for farmers aiming to assist them in implementing project results.. The guide analyzes in simple words the Integrated Management Scenario, the key deliverable of Agrostrat, focusing on how it can be implemented by farmers. Download the Guide here. Copyright 2013 © AGROSTRAT. All rights reserved.